Richard Burton's voice has been digitally remastered and seamlessly mixed with an all-Welsh cast to create a magical, fresh visit to the unique but universally recognisable world of Llareggub. 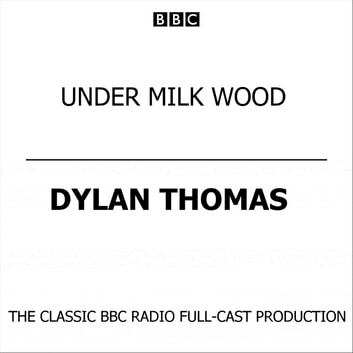 Richard Burton's inimitable narration as the Narrator in the BBC's 1963 recording of 'Under Milk Wood' was hugely acclaimed. In this 2003 production, the famous radio play has been given a fresh lease of life. Richard Burton's unforgettable performance joins a celebrated all-Welsh cast in a highly-acclaimed dramatisation of this classic 'play for voices'. Touching, eerie and very funny, the play tells the story of a day in the life of the inhabitants of a small Welsh seaside town, their dreams and routines, their loves and regrets, their hopes and fears. With characters and phrases that have entered common parlance, the play opens with 'To begin at the beginning' and features such much-loved characters as No Good Boyo, Lilly Smalls, Polly Garter, Organ Morgan and Captain Cat. Among the all-Welsh cast are Sian Phillips, Matthew Rhys and Glyn Houston, as well as a special guest appearance by John Humphrys. With an entrancing new musical score by John Hardy, this production is set to become the classic version of a spellbinding play.